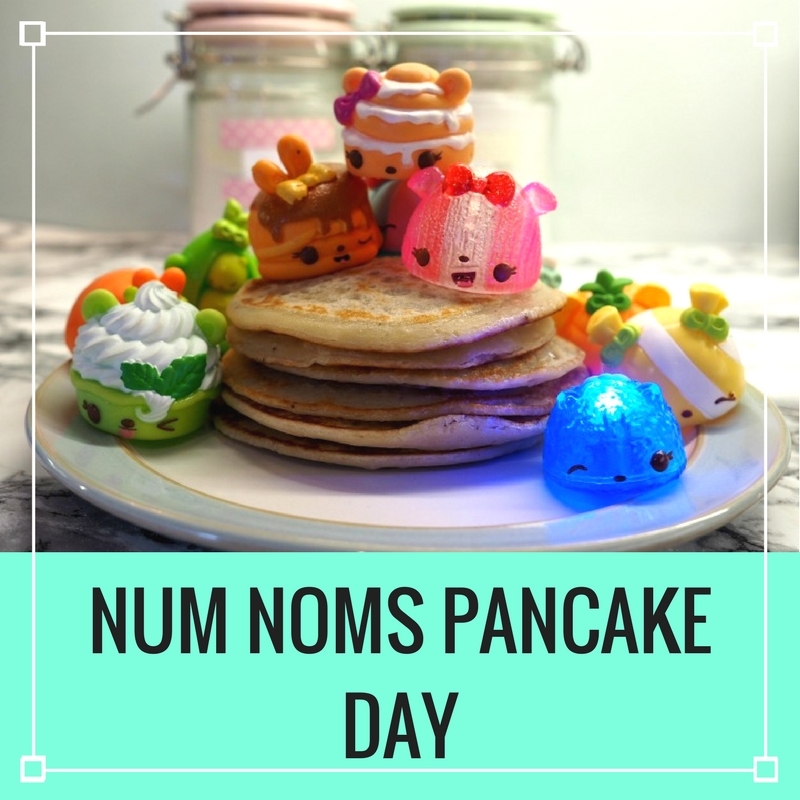 A Num Noms Pancake Day? 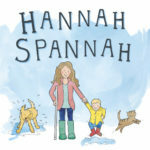 Yes, you read right, Num Nom have been inspiring my recipes this year. Not only that, I have made vegan pancakes with vegan toppings for myself, along with regular pancakes and toppings for Bear. Lets start with the Vegan pancakes as these turned out so much better than I thought they would! I totally made up my recipe and I can’t say that it’s the best one out there as I’ve never made vegan pancakes before but for me, they were delicious. 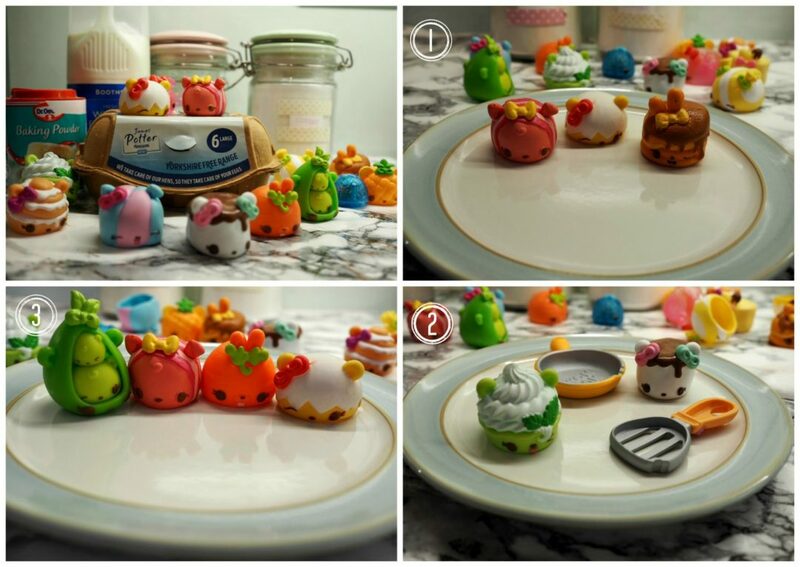 Once I realised that these were going to work, it was time to think about toppings and the Num Noms gave me the inspiration that I needed. I made my Vegan pancakes using plain flour, caster sugar, coconut milk and a pinch of baking powder along with some coconut oil. Banana Mallow symbolises the Banana in the pancake mix and Piney Apple and Maple Cakes are the topping. I can’t wait to try this one. Nilla Froyo symbolises Vanilla soya ‘ice cream’ and the special Blueberry light up represents my favourite blueberries. We have Maple Cakes for the Maple Syrup, the fabulous Blueberry Light Up for blueberries, Piney Apple for yes, you’ve guessed it and the Cindy Cinnamon for a hint of spice. A good old traditional recipe – Lemon and sugar, symbolised by Lily Lemony and Sugar Stripes. I was honestly really surprised. They were delicious but oh so filling! 3 was my limit but they were so delicious. The rest are in the freezer for another day. I did find that if you don’t eat the pancakes straight away, the texture changes and they could be described as a little rubbery but, if you’re Vegan, you tend to accept that replacements may not be the same as the original but there’s nothing wrong with that. put the flour and baking powder into a bowl. Mash the banana separately with a fork and add it to the flour. Stir and add the melted coconut oil and the slowly incorporate the milk, mixing and stirring all the time and thoroughly. Heat a pan and add a touch of coconut oil to the pan. On a medium heat, add some batter to the pan – to a size of your choice. Turn up the heat for a minute and then lower. Cook until bubbles form on the surface of the pancake and then flip. Each side should be golden brown. For the regular pancakes, I used Nigella’s my trusty recipe. We do love the British ‘crepe’ style pancake but American pancakes have taken over in our house recently and so that’s what I made. An American classic, Becca Bacon and Maple Cakes inspired pancakes with bacon and maple syrup. Sunny Omelette represents the egg in the pancake batter. The most indulgent pancake inspiration see’s Nilla Froyo and Softy Mallow team up for a pancake with Ice Cream (I used my Vegan one and he was none the wiser), marshmallows and chocolate sauce. Wow. A savoury pancake for a change. 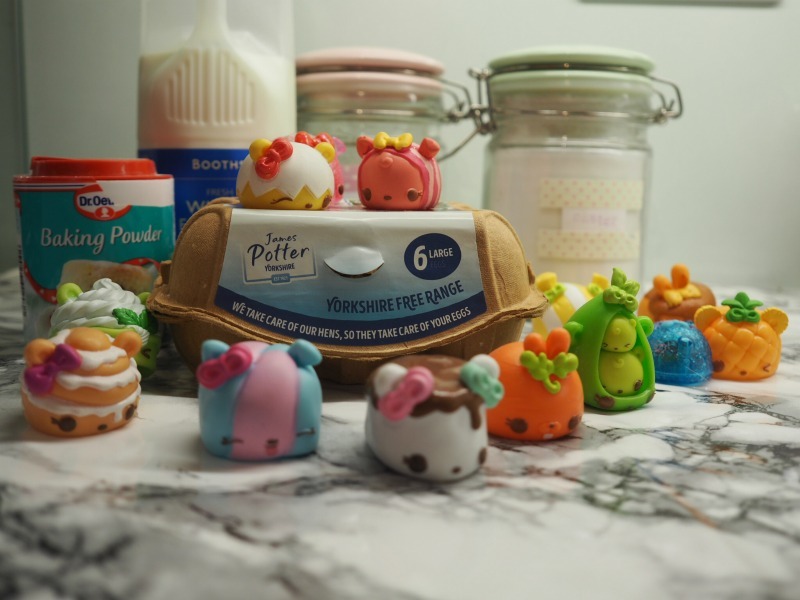 Eda Mama with her pea and pod Erasers, Bunny Carrot, Becca Bacon and Sunny Omelette represent a pancake with peas and carrots, bacon and cheese. So that’s the inspiration, how did they turn out in reality? 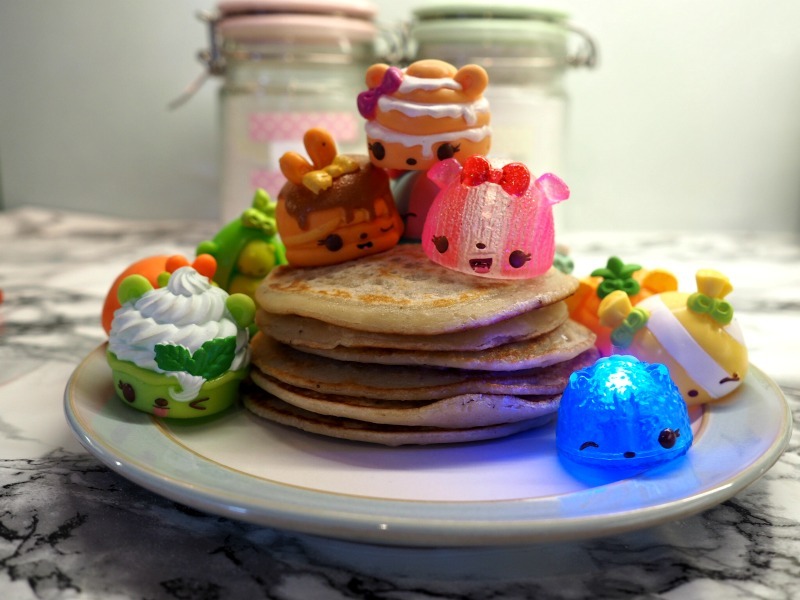 Bear loved the fact that we were deciding on the toppings using he Num Noms and although he loved the ones that we made (apparently the one with ice cream, chocolate sauce and marshmallows was the “best pancake in the world Mummy”) he did group Maple Cakes, Sugar Stripes, Lily Lemon, Softy Mallow, Nilla Froyo and all the other sugar and sweet based Num Noms together and declared it the best and begged me to make it, but there was no chance. I’ll be force feeding him veg for the rest of the week to even this out. If you would like to try Nigella’s American Pancake recipe, click here. 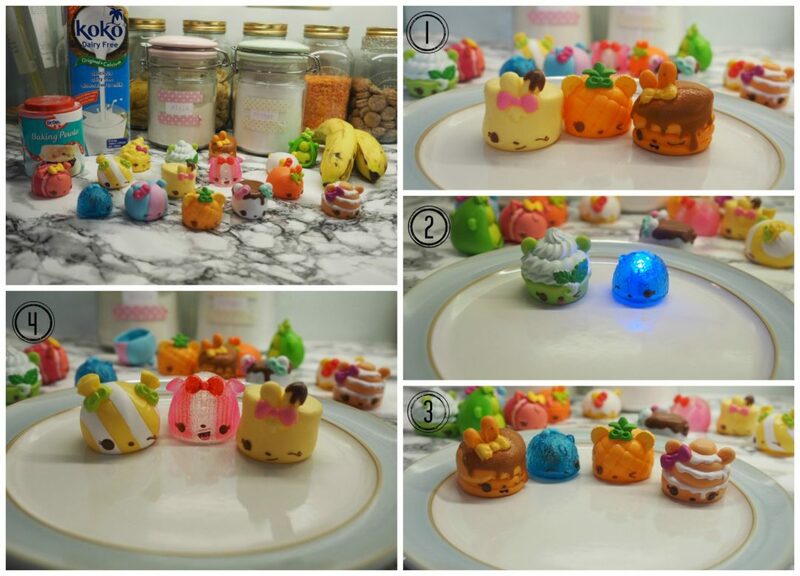 We love the Series 3 Num Noms and for me, Eda Mama with her pea and pod Erasers has to be my all time favourite Num Nom from all the series. 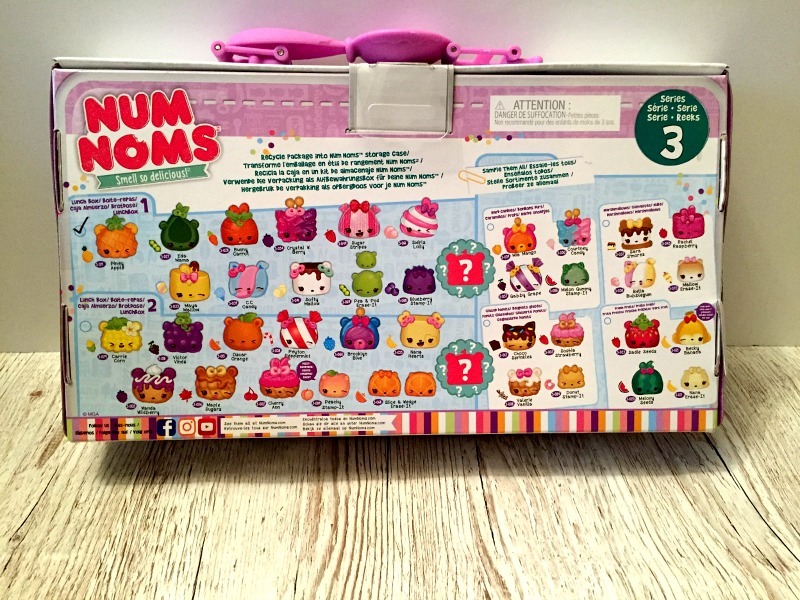 Bear was very lucky to have been sent a Series 3 Lunchbox in order to help me create these pancake recipes. 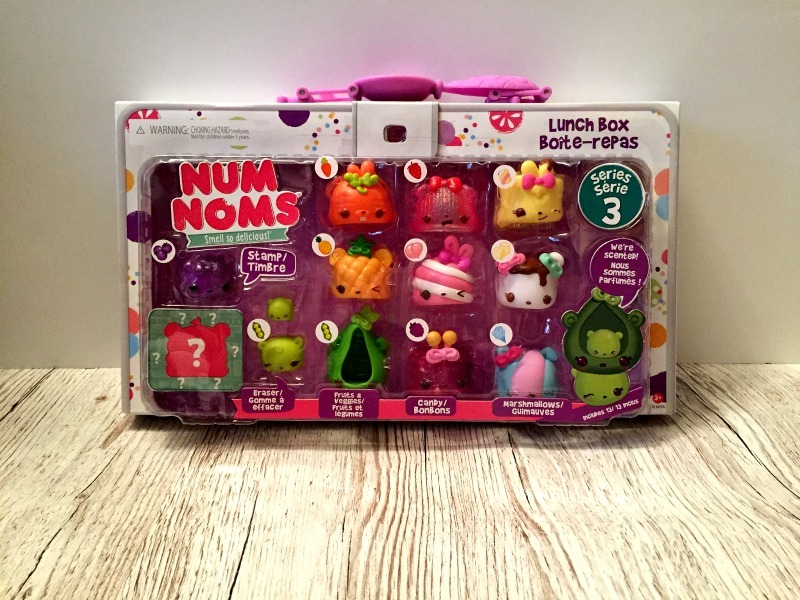 The Noms are either erasers, stamps or lip glosses in series 3 and they are seriously cute! 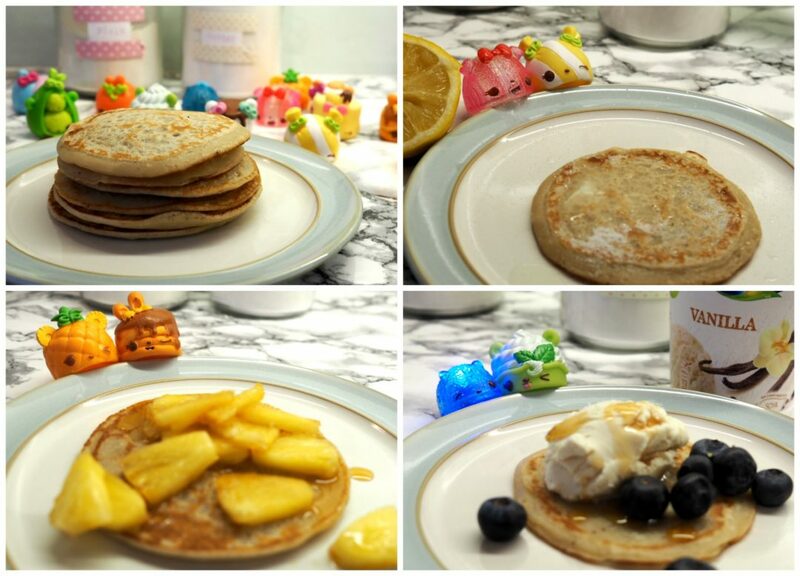 We hope you have a wonderful pancake day and maybe take inspiration from our recipes.